Oh these are SO CUTE! You're the queen of the most fun looking festive food - it's official. Must try these with my kids. Happy Christmas! If you can't make cute food at Christmas when can you?! Seriously it's a godsend where getting creative in the kitchen is concerned. Its a fab concept for any time of year. I'm already thinking about Easter Bunny Pizzas! 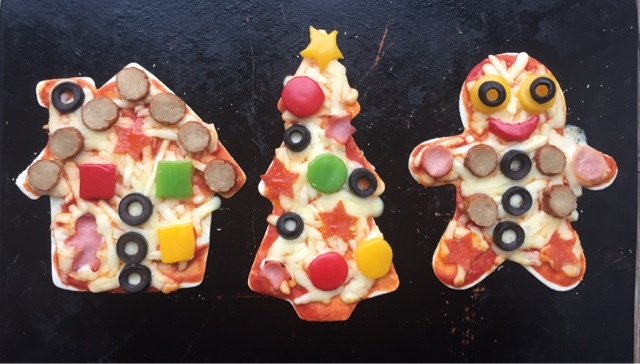 This is such a wonderful idea, I should get out my cutters and try this with the kids, who adore pizza but would love it even more in festive form! 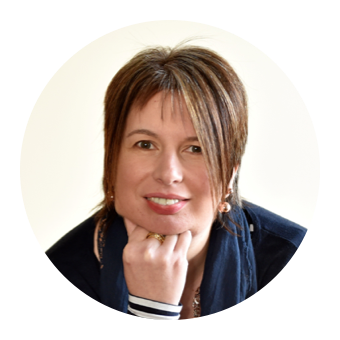 Thanks Laura, I hope your kids enjoy them as much as mine did. Cute! 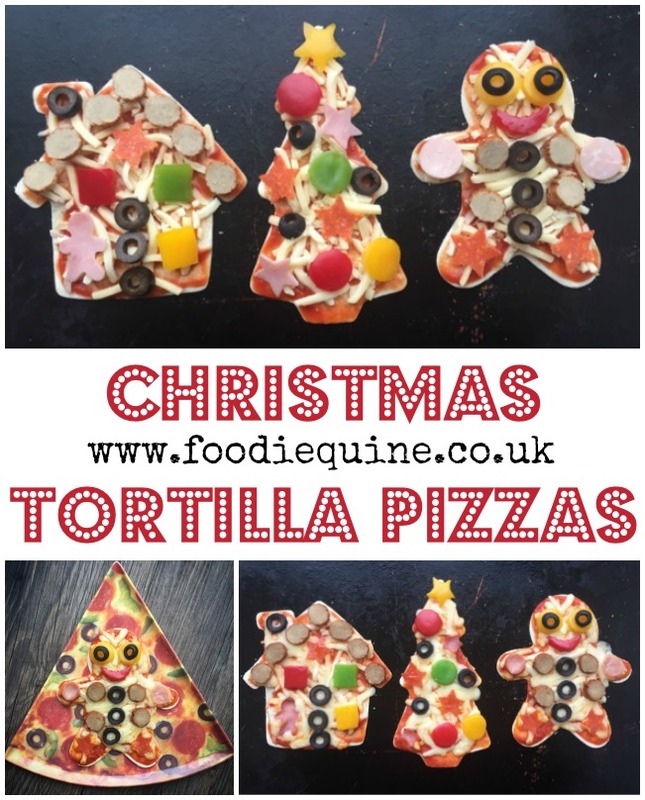 My boys would absolutely love these, pizza is always a winner in my house and cute Christmas pizza would be even more popular. 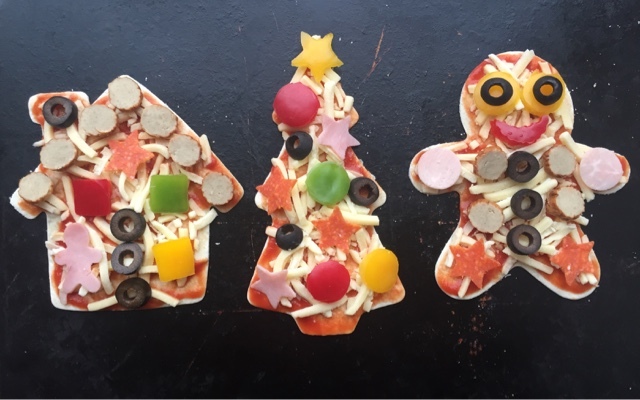 When you combine Christmas with Pizza it's bound to be a winner! I can't actually decide which one is my favourite of the three! Thanks Jemma, adults are most definitely allowed to enjoy them too! 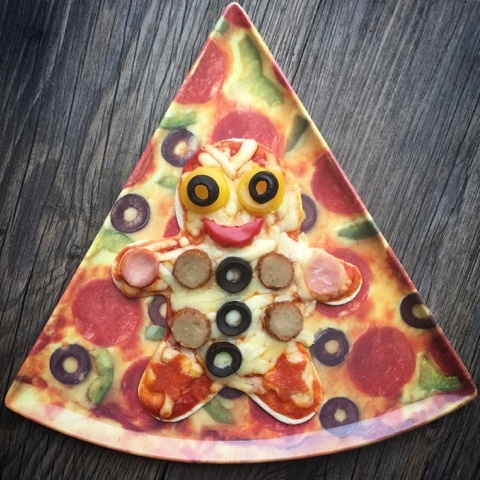 Everyone loves Pizza and everyone loves Christmas! I tried that with my daughter but she picked off the peppers before eating. I hope you have more success than me!